It's time to mobilize the world to Read It Forward! Use the sample website, blog, and social media posts below to spread the World Read Aloud Day movement far and wide. You can also download the WRAD Badge to add to your website or blog, and change your avatar on your social media pages to rally more participatns for World Read Aloud Day. 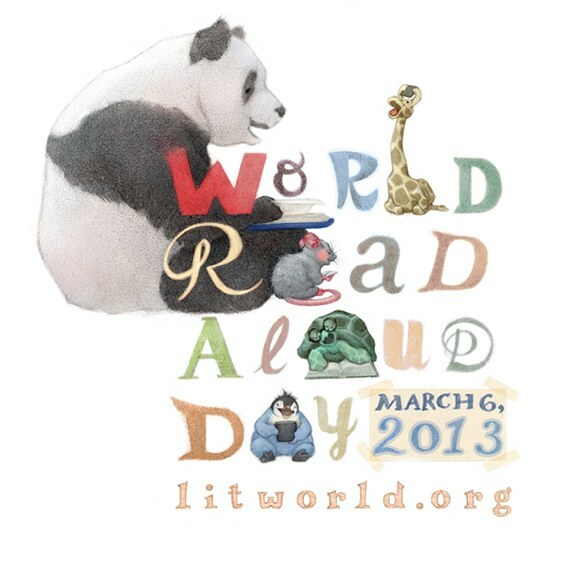 March 6, 2013, is World Read Aloud Day, an awareness day advocating for literacy as a human right. Celebrate by reading aloud, giving away a book, or taking action in any way you can to "Read It Forward" on behalf of the 793 million people who cannot yet read or write. World Read Aloud Day creates a community of people who are advocating for every child’s right to learn to read and technology that will make them lifelong readers. Everyone can change the world and Read It Forward call to action and reading aloud with loved ones or new friends. Read It Forward, creating a ripple effect that resonates around the world with the power of story and shared words. Visit /wrad to join the Read It Forward movement. Register your participation, and spread the word to friends, family, and networks for March 6! LitWorld, the organization that founded World Read Aloud Day, offers free downloadable activity kits full of ideas for children, teens, families, educators, and professionals at http://litworld.org.